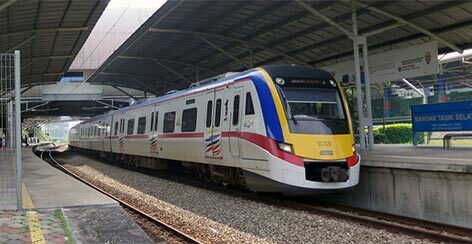 The KTM Komuter train service is the first electrified commuter train service in Malaysia with rail network of 57 stations that cover more than 280km length of railway. 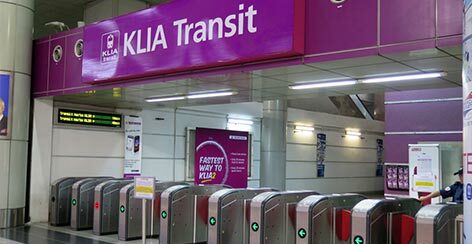 To check the KTM Komuter fare, enter the starting station and the stopping station, then press the Check Fare button. RM 7.70 (Cash) Check again? 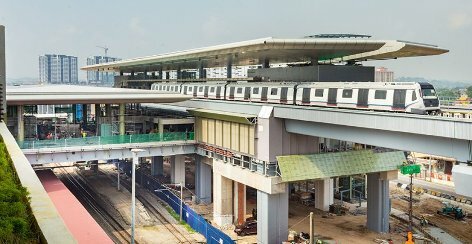 The KTM Komuter is an important component of the Integrated Klang Valley Rail Transit System. 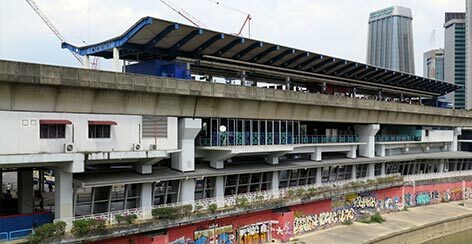 Some of the KTM Komuter stations are connected to stations of other rail systems such as the Light Rapid Transit (LRT), the KL Monorail, and Sungai Buloh - Kajang line MRT within short walking distance. 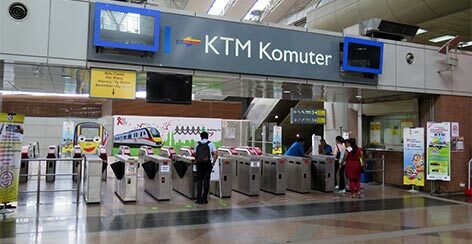 You can use the KTM Komuter to go the Transportation Hub in the Kuala Lumpur city area. 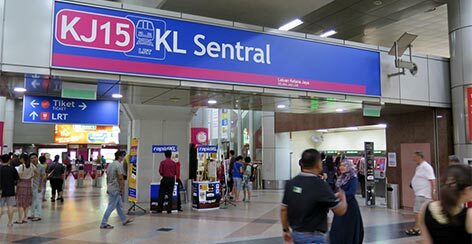 Take the KTM Komuter and stop at the KL Sentral KTM station and you can walk to KL Sentral transport hub. 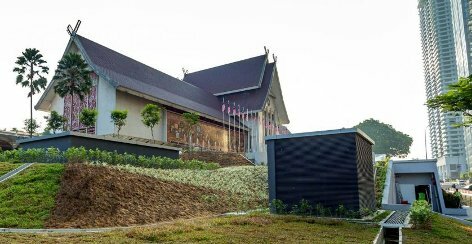 Stop at the Bandar Tasik Selatan KTM station and Terminal Bersepadu Selatan (TBS) is just short walk away. 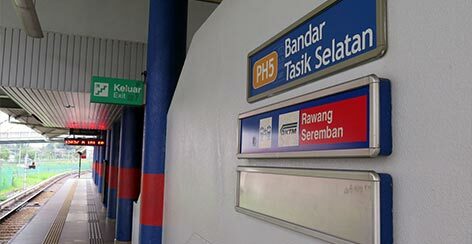 The KTM Komuter rail system is designed to connected to both the Ampang / Sri Petaling Line LRT and the Kelana Jaya Line LRT at some KTM stations. To transfer between the KTM Komuter and the LRT network, these are the stations accommodate easy transfer within short walking distance. 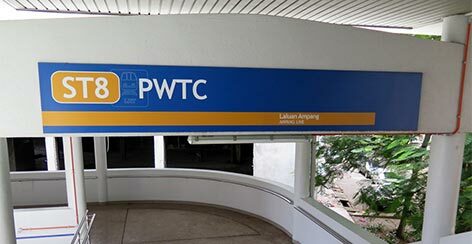 Exit from Putra KTM station and walk about 1km to the PWTC LRT station. 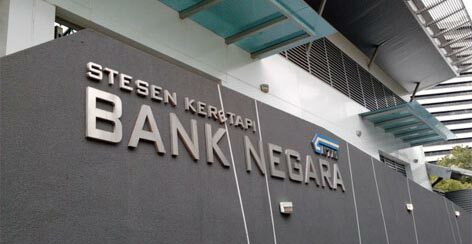 Exit from Bank Negara KTM station and walk about 200 meters to the Bandaraya LRT station. 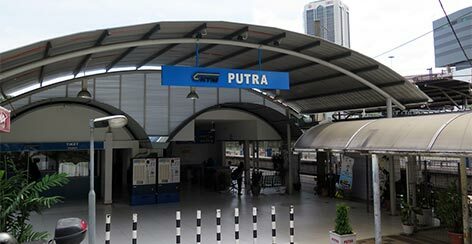 Exit from Kuala Lumpur KTM station and walk 1km to Pasar Seni LRT station. Exit from KL Sentral KTM station and walk to KL Sentral LRT station at the KL Sentral transport hub. Exit from Bandar Tasik Selatan KTM station and walk to Tasik Selatan LRT station as these two stations are just next to each other. Exit from Subang Jaya KTM station and walk to Subang Jaya LRT station as these two stations are just next to each other. 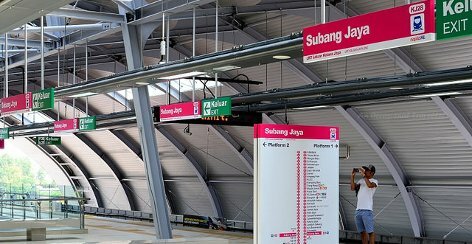 To transfer between the KTM Komuter and the MRT Sungai Buloh – Kajang Line, these are the stations accommodate easy transfer within short walking distance. Exit from Sungai Buloh KTM station and walk to the Sungai Buloh MRT station. 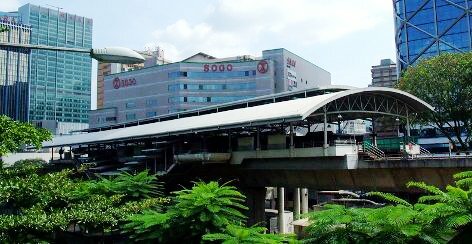 Exit from Kuala Lumpur KTM station and walk about 1km to the Pasar Seni MRT station. From KL Sentral KTM station and walk to Muzium Negara MRT station. Exit from Kajang KTM station and walk to the Kajang MRT station. Passengers for KLIA / klia2 airport may take the KTM Komuter to KL Sentral station to take the KLIA Ekspres or KLIA Transit ERL train. Exit from KL Sentral KTM station and go to the KL Sentral ERL station for KLIA Ekspres at the KL Sentral. Exit from KL Sentral KTM station and go to KL Sentral ERL station for KLIA Transit at the KL Sentral. 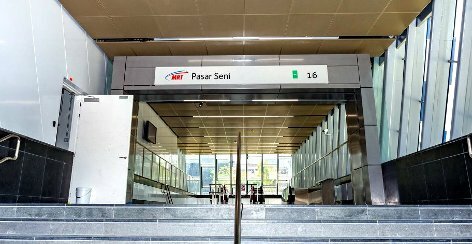 Alternatively, passengers can stop at Bandar Tasik Selatan KTM station and walk over to the Bandar Tasik Selatan ERL station for KLIA Transit ERL train to the airport. Exit from Bandar Tasik Selatan KTM station and walk to the Bandar Tasik Selatan ERL station as these stations are next to each other. 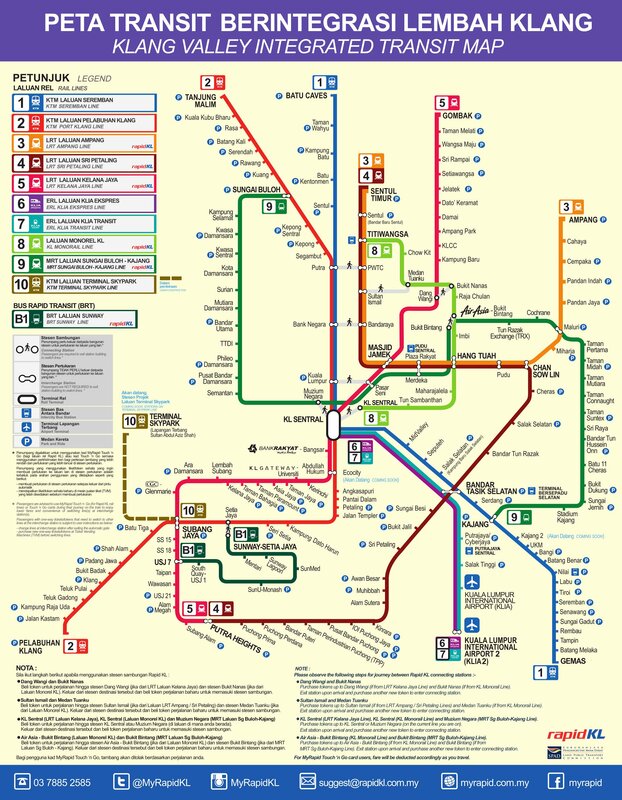 The KTM Komuter network consists of two lines namely the Port Klang line and Seremban line. 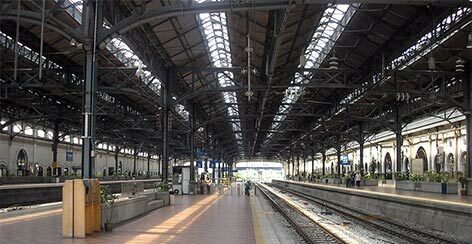 It covers more than 280km length of rail network that has 59 stations. The following diagram shows how the KTM Komuter stations integrate with other rail systems to complete the Greater KL / Klang Valley Integrated Transit System. 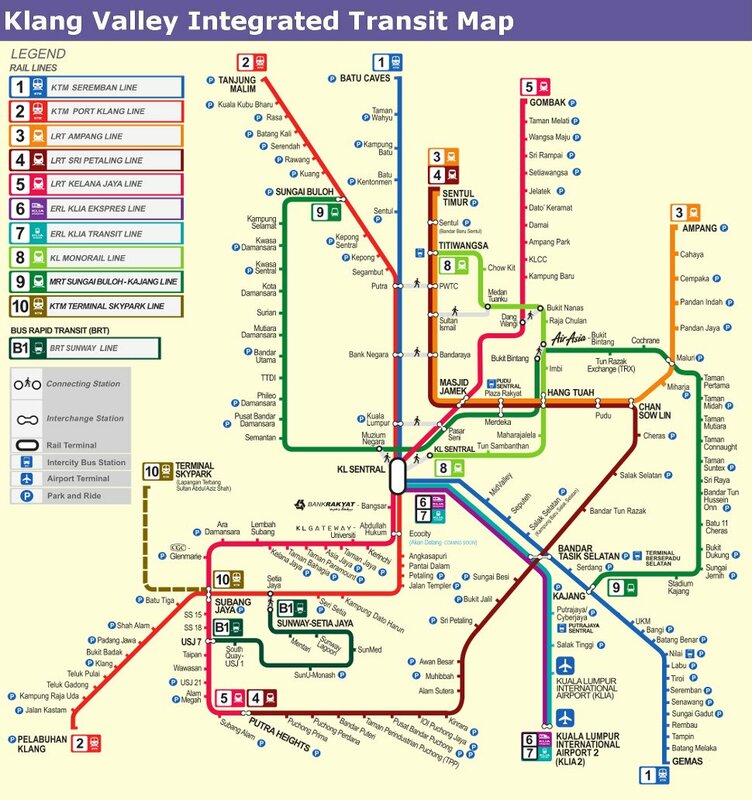 The Klang Valley Integrated Transit System consists of KTM Komuter rail line, Ampang Line LRT, Sri Petaling Line LRT, Kelana Jaya Line LRT, KL Monorail, one bus rapid transit line and KLIA Ekspres and KLIA Transit airport rail links to Kuala Lumpur International Airport. 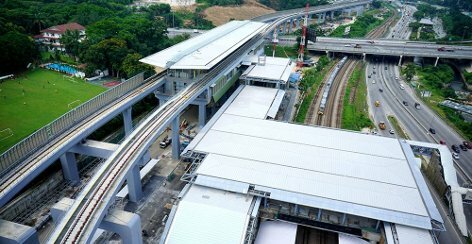 The latest edition to the integrated transit system is the MRT Sungai Buloh - Kajang line in 2017.